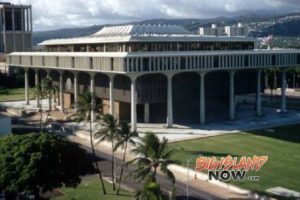 The Hawai‘i House Finance Committee today passed Senate Bill 648 SD1 HD1, which will increase the amount of the Transient Accommodations Tax (TAT) revenues for the neighbor islands. Increasing Hawai‘i Island’s TAT revenues from $19,158,000 to $31,248,000. Increasing Kaua‘i’s TAT revenues from $14,935,000 to $24,360,000. Increasing Maui’s TAT revenues from $23,484,000 to $38,304,000. 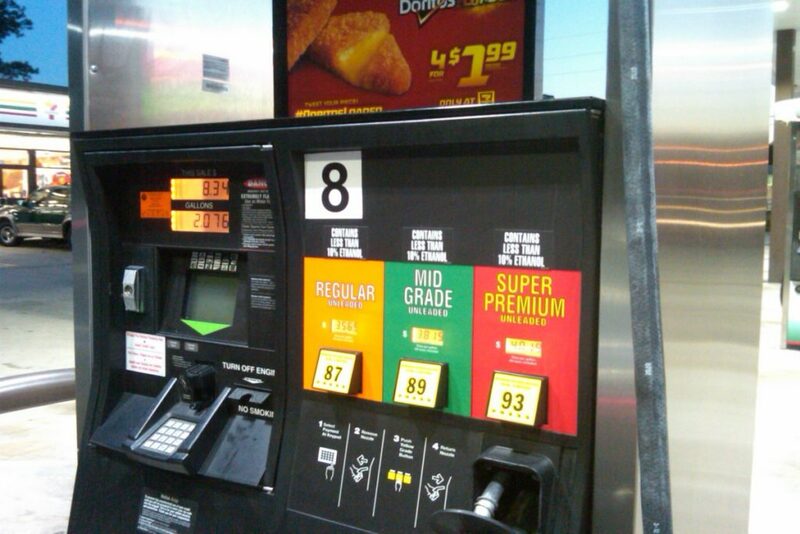 The TAT amount for the City & County of Honolulu is unchanged for a total of $45.4 million per year. The TAT is paid by hotel guests to the State and allocated to several groups, including the counties, to pay for visitor released expenses. During the 2017 Special Legislative Session, lawmakers voted to raise the TAT by 1% to immediately address the shortfall of Oʻahu’s rail project. At that time, House leaders discussed the possibility of revisiting proposals to increase TAT revenues for the neighbor islands. 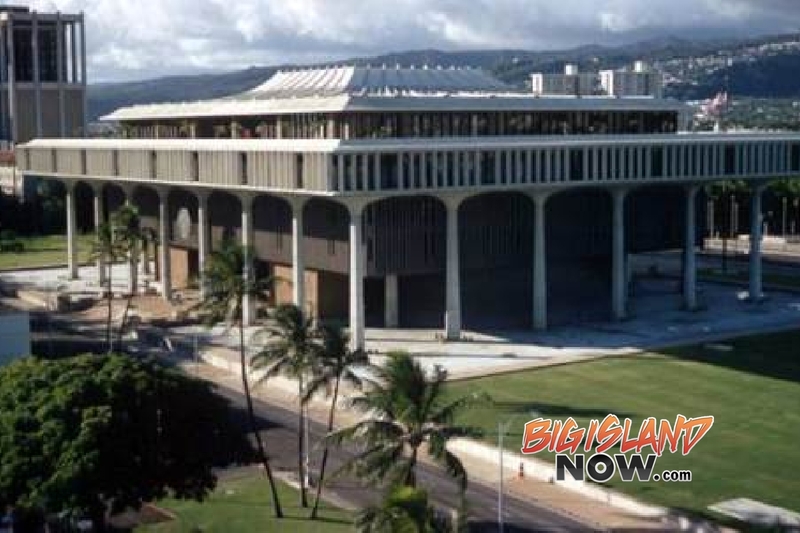 House Speaker Scott K. Saiki credited neighbor island Representatives with working to find ways to provide more funding for the neighbor islands. Saiki said this bill is a product of their discussions. Reps. Tulsi Gabbard and Colleen Hanabusa announced on Saturday, Jan. 20, 2018, that they will not accept their salary during the federal government shutdown. 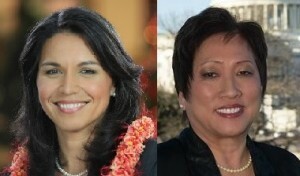 Hawaii Reps. Tulsi Gabbard, left, and Colleen Hanabusa. Courtesy photos. Background: Both members also did not take pay during the 2013 government shutdown. In 2013, Gabbard returned her salary to the U.S. Treasury and Hanabusa donated her salary to Meals on Wheels and the Moiliili Community Center. I am pleased to announce that Governor David Ige’s administration has released Capital Improvement Project (CIP) funding for Hawai‘i Health Systems Corporation, to fund construction and equipment costs for renovation, acquisition, and installation of radiology equipment in the East Hawai‘i Region (Hilo Medical Center, Hale Hoola Hamakua, and Kau Hospital). Thank you Governor Ige for your efforts on Senate District 2’s behalf. Projects such as these are critical components of the public infrastructure and contribute to building a better home for our kupuna, keiki, and all the residents of Hawai‘i. In early October, the Public Utilities Commission (PUC) granted the companies’ request to start the regulatory process to issue requests for proposals (RFP) enabling the execution of the companies’ five year action plan for more renewable generation. 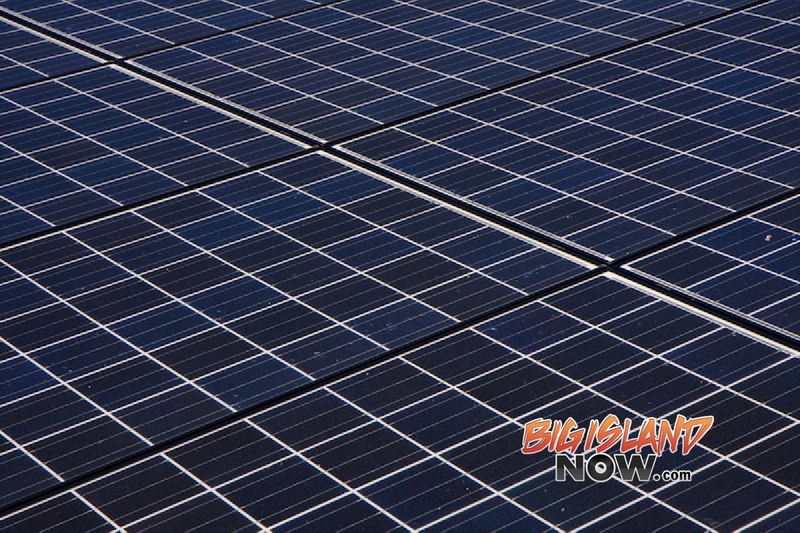 Hawaiian Electric Companies has also filed with the PUC its proposed process for competitively procuring the largest amount of renewable resources ever to be developed in Hawai‘i. The filing includes drafts of proposed RFPs and new model for renewable power purchase contracts. Yesterday’s filing includes a proposed model contract between the companies and developers of renewable projects. The contracts, known as power purchase agreements (PPA), are designed to address the unique challenges of operating island grids with high concentrations of renewables. Working with experts in the industry, the new model PPA seeks to achieve greater flexibility for utilities to dynamically and cost-effectively dispatch power from the new projects and to lower risks to developers and their financiers, resulting in lower costs to customers. “With the commission’s acceptance of our PSIP, we are entering a new period of renewable energy acquisition. We are now focused on creating and successfully executing a competitive process for renewable generation that will help achieve our vision for sustainable communities and result in cost competitive and reliable service to our customers,” said Shelee Kimura, Hawaiian Electric senior vice president of business development and strategic planning. The PSIP accepted by the commission describes key goals such as seeking nearly 400 megawatts of new renewable resources by 2021. When the PUC opened the docket for this procurement process it urged the companies to move quickly on a transparent, timely and successful procurement process to work with developers and capture federal investment tax credits before they expire. The draft RFPs and proposed PPA language are intended to meet the commission’s objectives. The companies are also proposing a series of technical conferences and consultation with stakeholders such as prospective renewable developers. The companies’ proposed timeline calls for issuing the final RFPs in the first quarter of 2018 with selection of developers and contract negotiations expected to start in the second quarter. The draft documents, of primary interest to prospective renewable energy developers, may be reviewed at www.hawaiianelectric.com/competitivebidding. Following the success of a program that helps landlords to get paid and keep tenants from being evicted on Oahu and in Maui County, Steps to Avoid Eviction is now available on Kauai. The STAE program guides homeowners and tenants to resolve disputes without going to court. Its goals are to teach renters how to avoid evictions and to ensure that landlords can consistently collect rental income that is due. The potential impact for Kauai is strong. A recent U.S. Census Bureau study indicated that 25 percent of the island’s 30,238 total housing units are occupied by renters. Furthermore, the population of 71,735 residents is growing an average of three people daily, the bureau reported. “I want to thank the participating agencies, and attorneys Craig De Costa, Michelle Premeaux, Patrick Childs, and Linda Vass for assisting with the program and brochure,” Soong added. The agencies providing strong support for STAE are Kauai Self Help Center; Legal Aid Society; Kauai Economic Opportunity Mediation Services; County of Kauai Housing Agency; Mental Health Kokua; Catholic Charities; Women in Need; Family Life Center Kauai; and The Salvation Army. “I deeply appreciate the hard work of the attorneys, agencies, and businesses in bringing this important early intervention program to the Garden Island, and thank Judge Soong for his leadership,” said Chief Justice Mark E. Recktenwald. The STAE brochure is available through numerous Kauai agencies, including those listed above, and online. A copy of the brochure is attached. Hawaii Island Air, Inc. (Island Air) announced today it is filing for Chapter 11 bankruptcy protection in an effort to continue normal operations while navigating through legal challenges recently presented by the lessors of its aircraft. The bankruptcy filing was caused by threats of legal action to ground the aircraft and strand hundreds of passengers. The filing prevents the threatened action and allows Island Air to continue interisland service for its customers. Founded in 1980 as Princeville Airways, the company was renamed Island Air in 1992 and has been serving the Islands of Hawai‘i for 37 years. Island Air currently offers approximately 200 flights each week between O‘ahu, Maui, Kaua‘i and Hawai‘i Island, and employs more than 400 individuals throughout the State of Hawai‘i. The Department of Labor and Industrial Relations (DLIR) was awarded $2.25 million in federal funds to help prepare youth with disabilities to enter the workforce or post-secondary education. The funding enables Hawaii Youth At Work! summer participants to obtain paid work experience during the year, coupled with employment preparation activities. The program is a collaboration between the Department of Human Services (DHS) and DLIR. DHS’s Division of Vocational Rehabilitation (DVR), Benefit, Employment and Support Services Division, and Social Services Division counselors and staff work with DLIR workforce staff to place participants in temporary jobs with the State and Counties. In 2016, the Summer Youth Employment Program (SYEP) provided 153 youth with disabilities paid work experience in State and County offices on the islands of Oahu, Maui, Molokai, Lanai and Hawaii. Youth were paid $10.00 an hour and worked up to twenty hours per week during the summer months. SYEP 2017 expanded referrals to include youth participants from the DHS’s Benefit, Employment and Support Services Division and Social Services Division in addition to VR. 125 participants were placed in State and City offices on the islands of Oahu, Maui, Molokai, Lanai and Hawaii. The funding will strengthen collaborations with businesses and workforce partners to increase the number of youth with disabilities entering career pathways and accessing workforce services. The grant provides funding for services in the Counites of Hawaii and Maui as well as on Oahu. In addition to DHS, key partners include the University of Hawaii Center on Disability Studies, Department of Education, and American Job Centers. DLIR previously received $2,923,674 in 2011 and $2,500,000 in 2015 in Disability Employment Initiative (DEI) funds to improve education, training, and employment outcomes of youth and adults with disabilities. DEI funds help refine and expand workforce strategies proven to be successful, and enhance inclusive service delivery through the public workforce system. Improvements include: increasing the accessibility of American Job Centers (AJC); training front-line AJC and partner staff; and increasing partnerships with businesses that are critical for assisting youth and adults with disabilities in securing meaningful employment. Today, the Hawaiʻi Congressional Delegation announced that the Economic Development Administration (EDA) will award $1,015,000 in federal funding to the Feed the Hunger Foundation to establish a new Revolving Loan Fund that will provide loans to new and expanding small businesses in Hawaiʻi. The funding is expected to create and retain 120 jobs in Hawaiʻi and help to expand Hawaiʻi’s agricultural job market, contribute to the development of a growing, self-sufficient food system throughout the state, and increase access to locally sourced, healthy food. “Investing in our local agriculture industry, along with expanding access to fresh, nutritious food, is crucial to improving the health and wellbeing of people all across Hawaiʻi and decreasing our reliance on costly food imports. This funding will bring jobs and investment to our local farmers and small business owners working towards a more sustainable, food-secure Hawaiʻi,” said Rep. Tulsi Gabbard. “Investing in the growth and sustainability of Hawaii’s agriculture is vital. Once established, this Revolving Loan Fund will leverage private dollars to support Hawaii’s small businesses and communities to grow our agricultural industry. Congratulations to the Feed the Hunger Foundation on this substantial award and mahalo for your contributions to Hawaii’s food security and economy,” said Rep. Colleen Hanabusa. Background: Based in Honolulu and San Francisco, Feed the Hunger Foundation works to build communities, connect entrepreneurs to support resources, and provide technical assistance to help food businesses thrive. This EDA award supports Feed the Hunger Foundation’s business lending programs by complementing an existing EDA-funded Revolving Loan Fund. 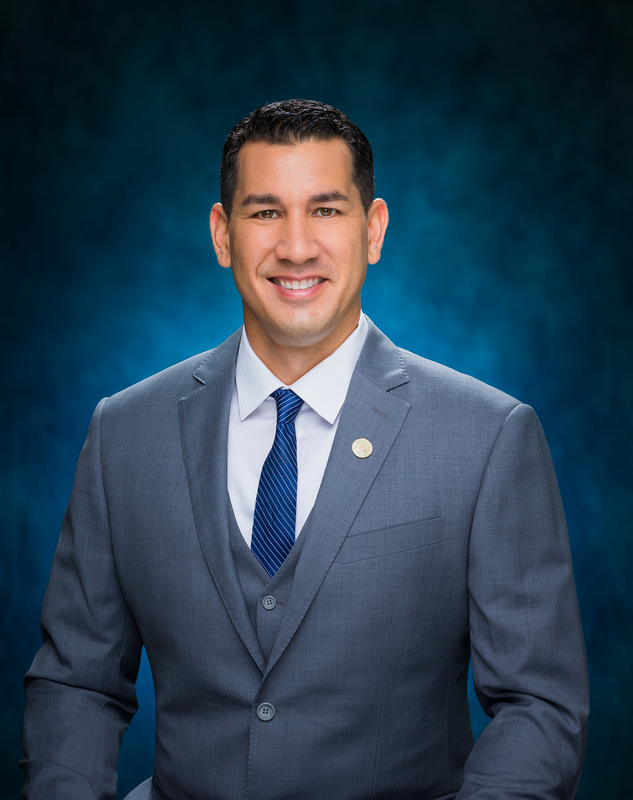 The investment will have an immediate and long-term impact on Hawaiʻi through enhanced access to credit capital and technical assistance for new and expanding small businesses, and increased small business job creation and diversification.